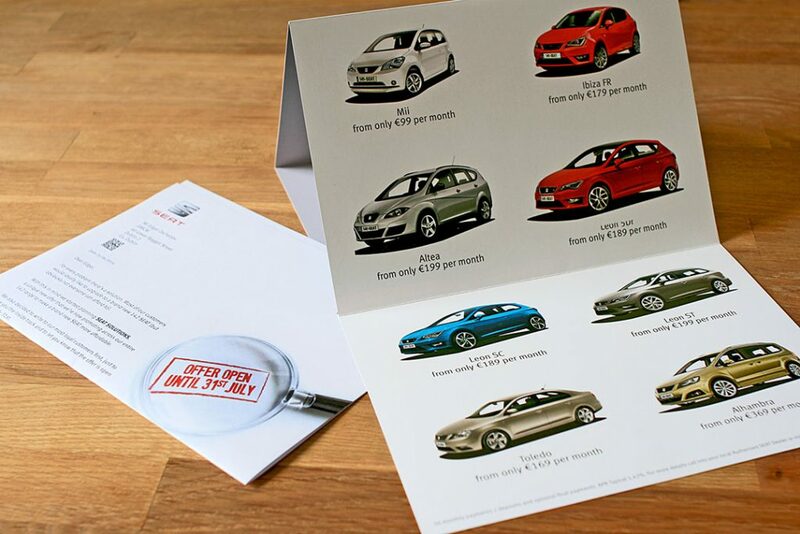 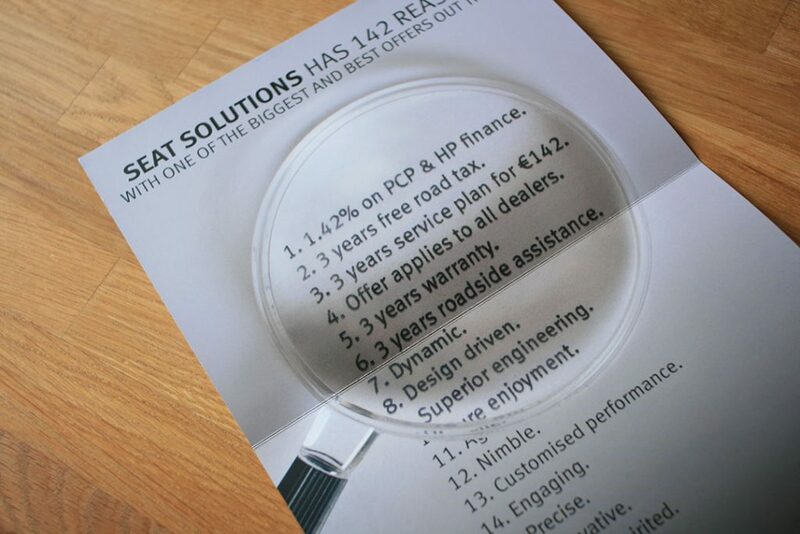 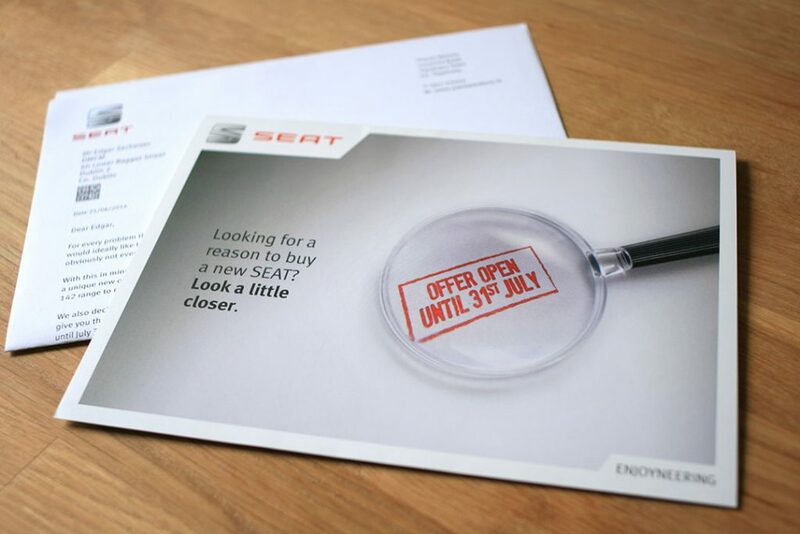 With this direct mail we highlighted the great offers, as well described all the qualities and features of a SEAT and the benefits of owning one. 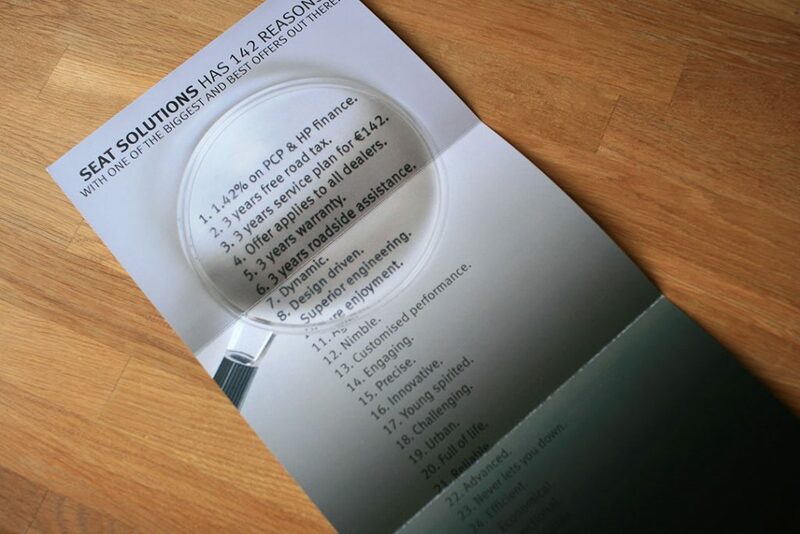 The information is presented in an intriguing way; it’s light-hearted, but powerful and memorable. 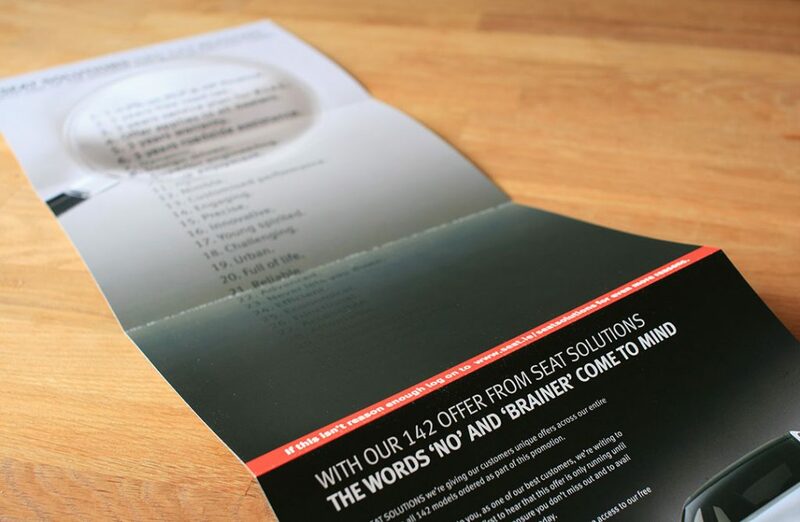 We literally listed 142 reasons for buying a SEAT in June.